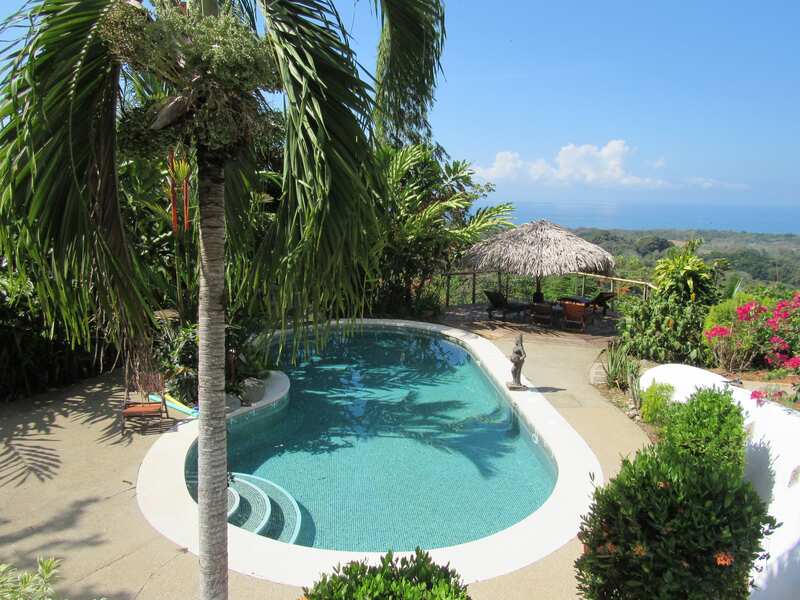 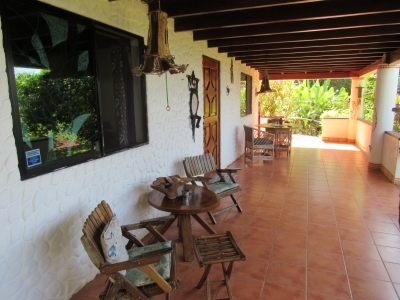 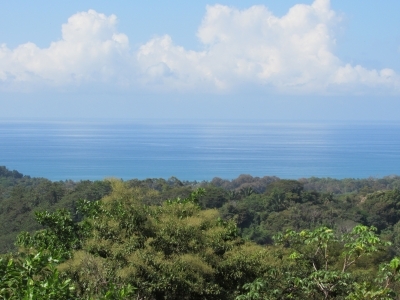 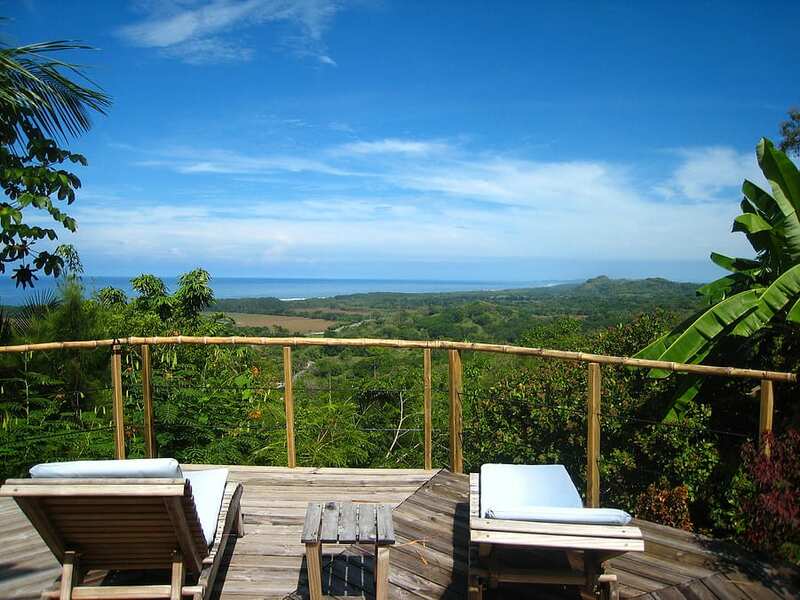 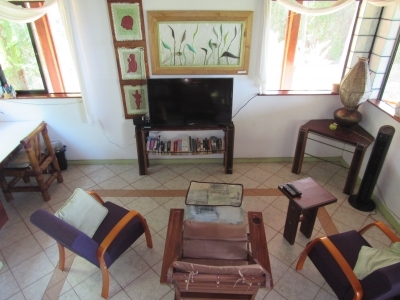 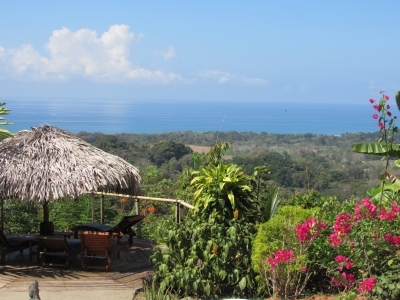 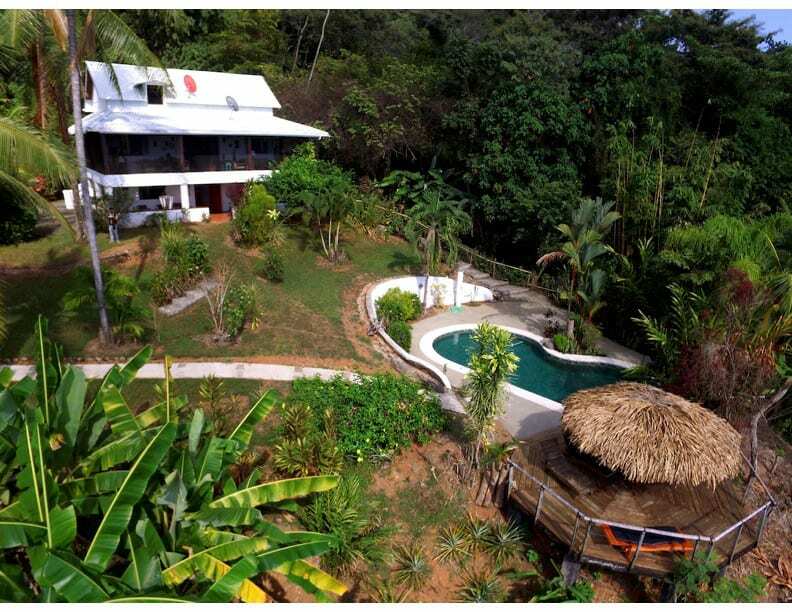 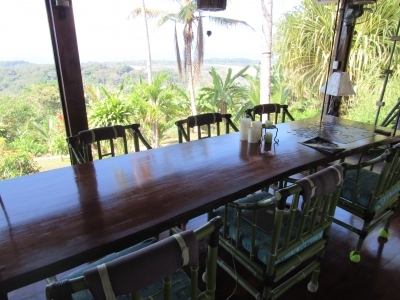 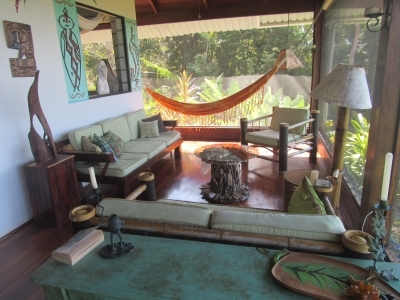 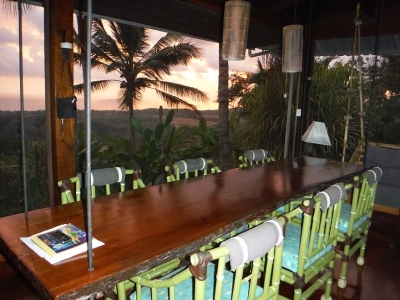 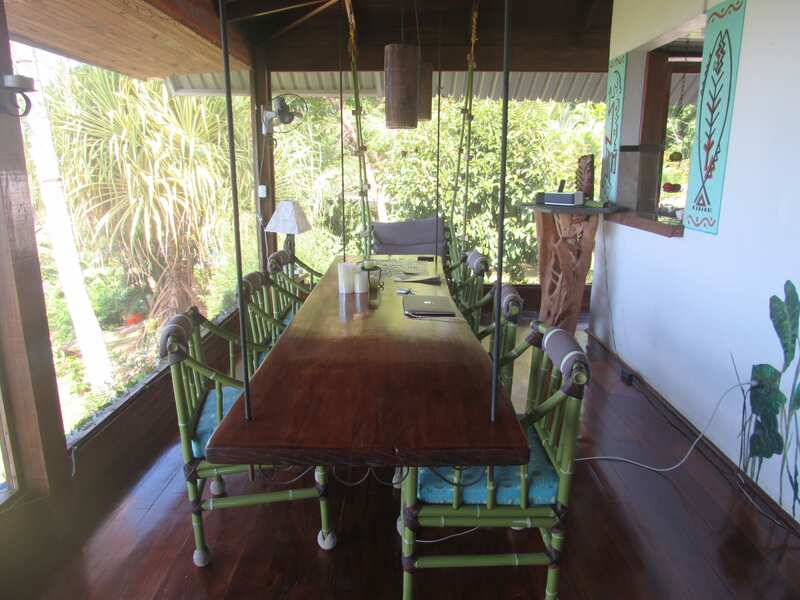 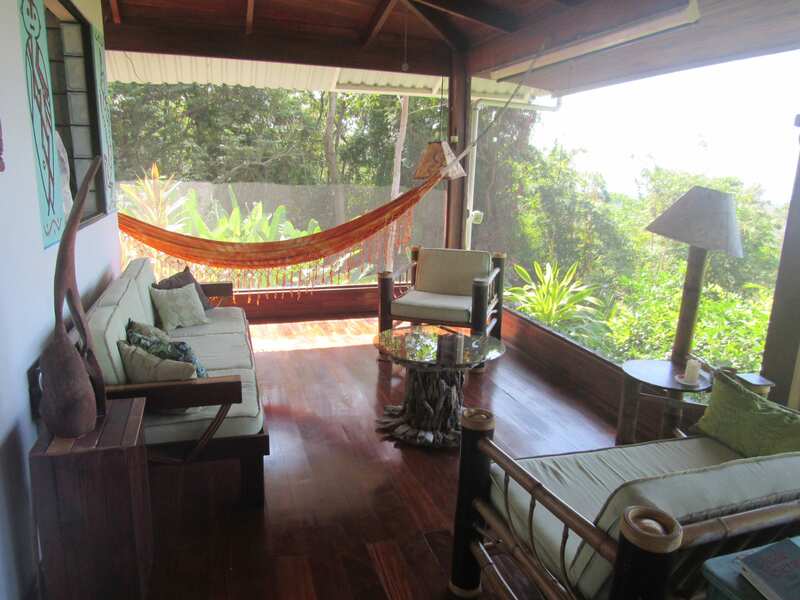 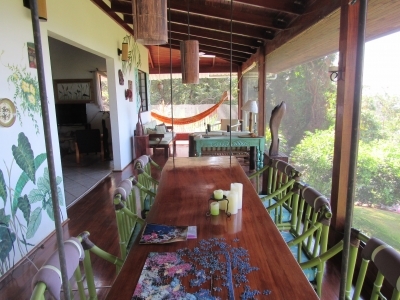 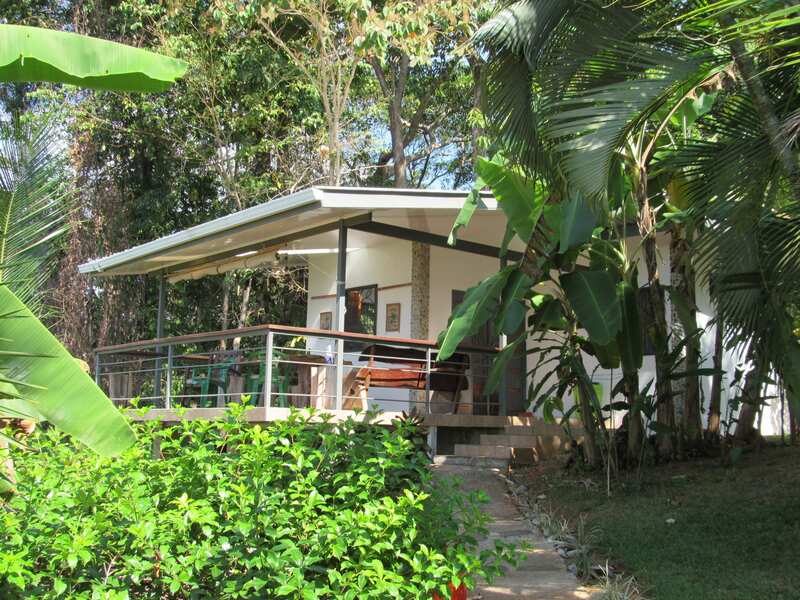 This is an amazing opportunity to own a beautiful BnB tucked into the jungles of Costa Rica but a short drive to many empty beaches. 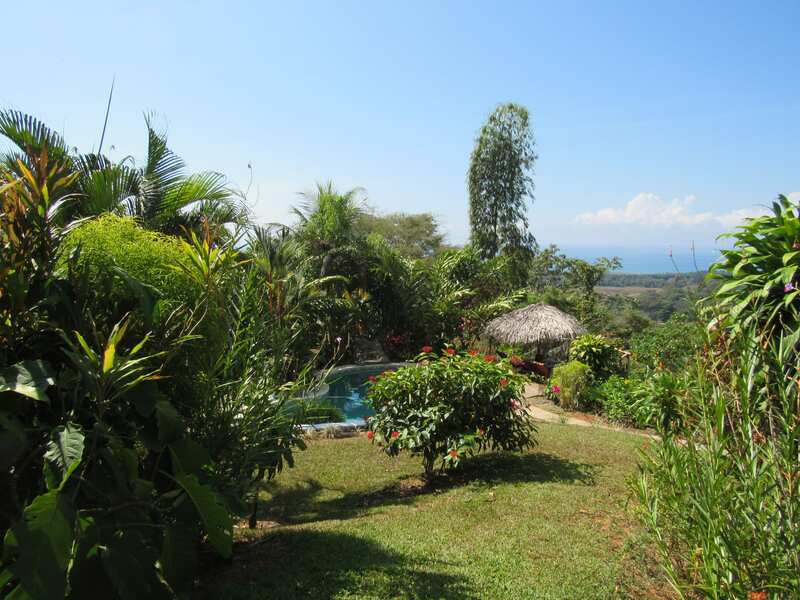 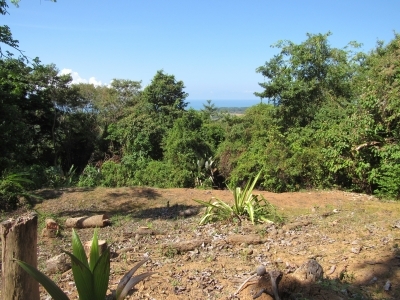 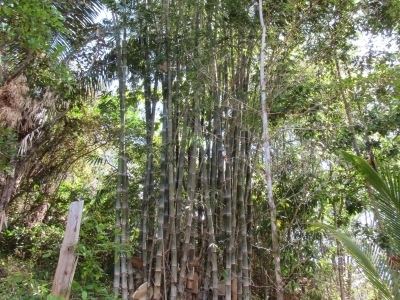 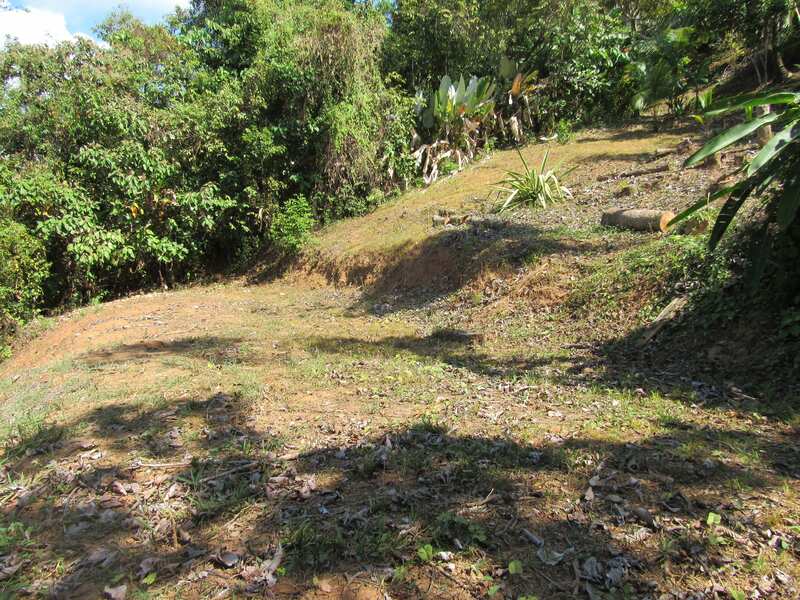 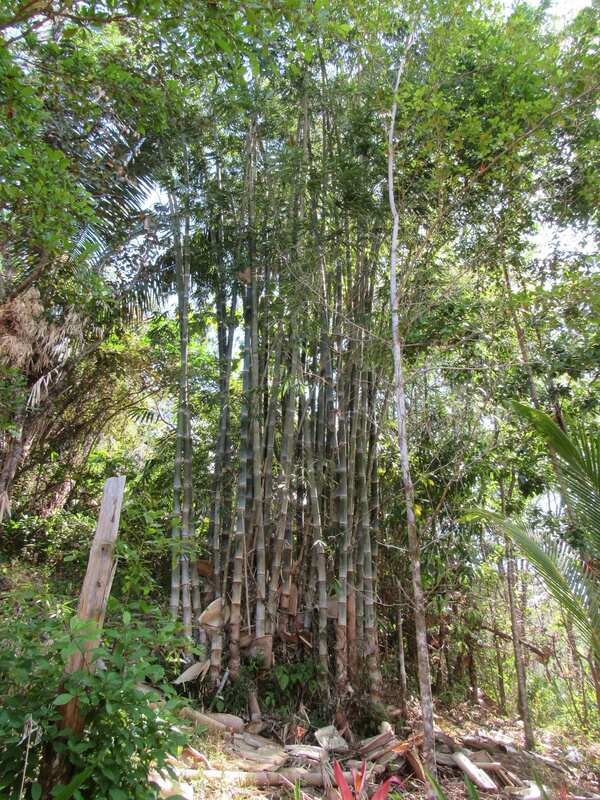 This 6 acre property is located at the very end of it’s road and is surrounded by nature. 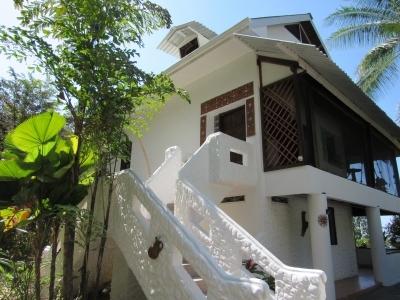 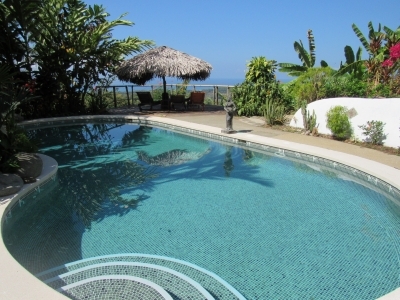 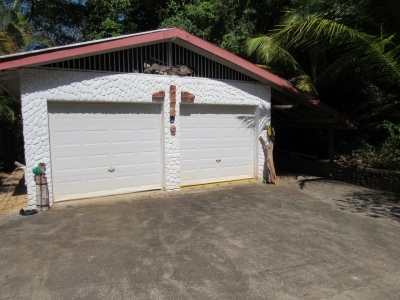 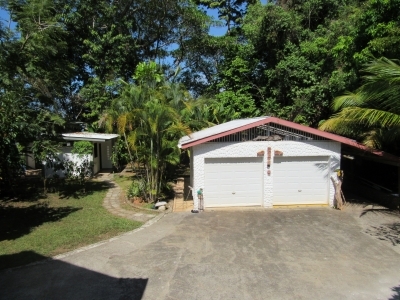 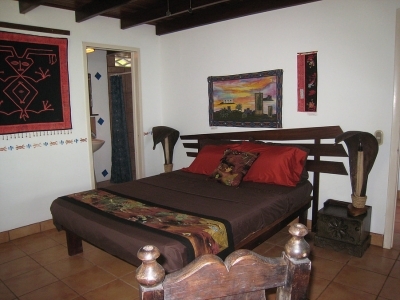 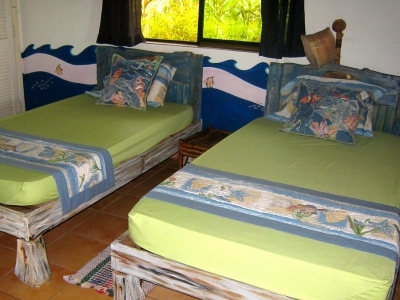 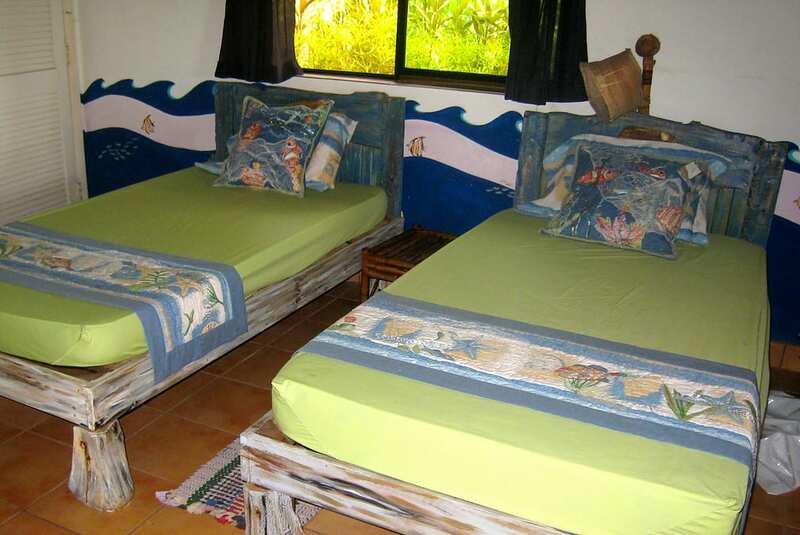 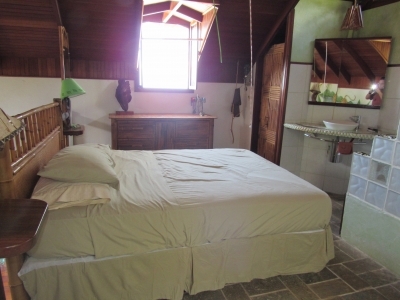 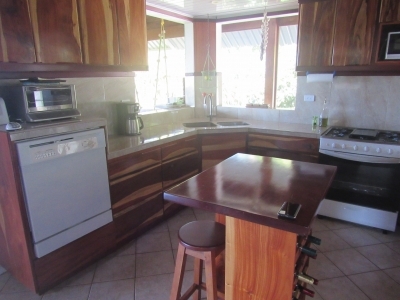 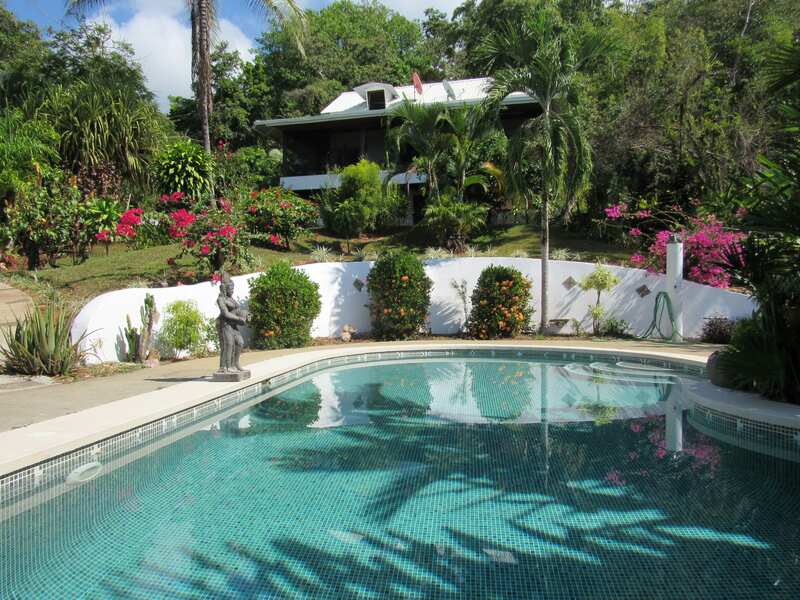 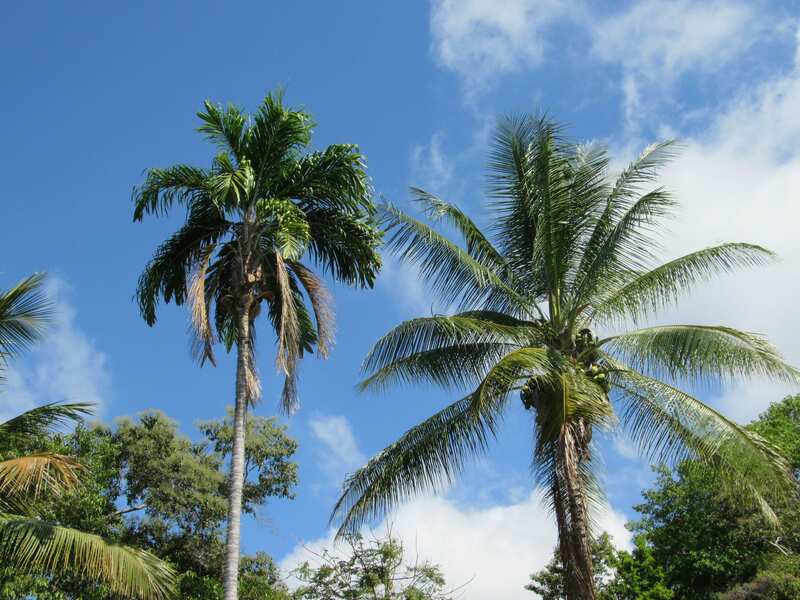 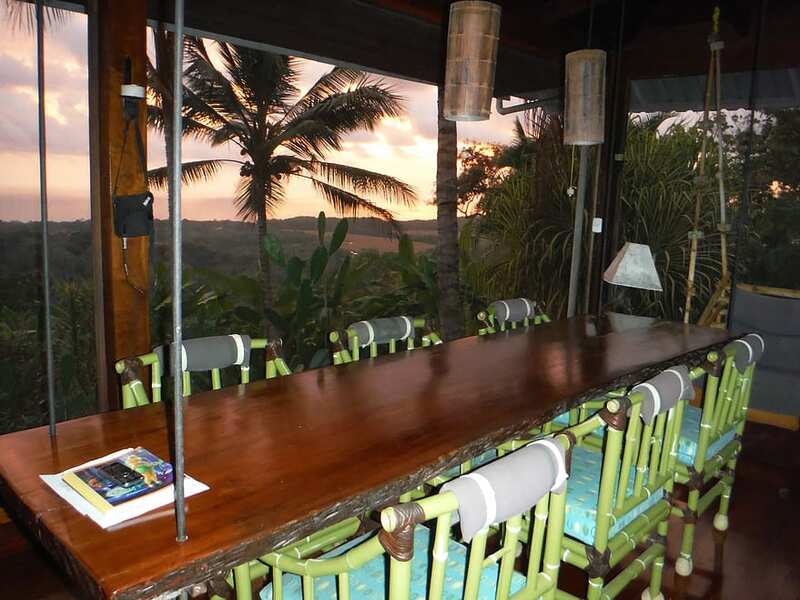 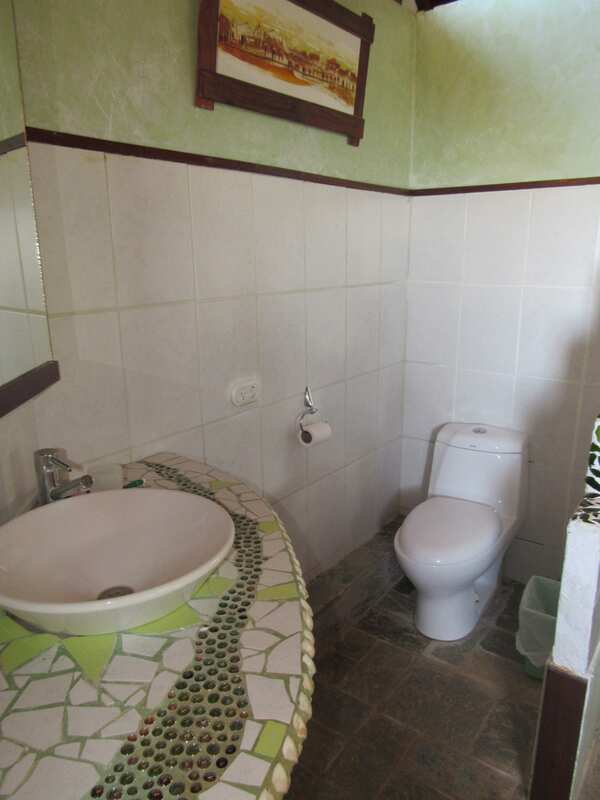 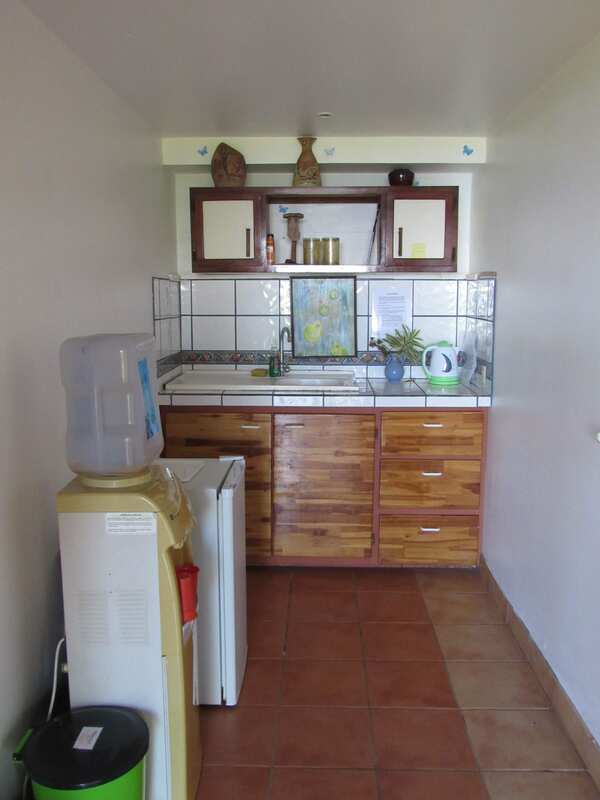 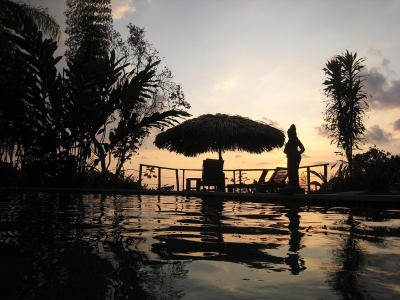 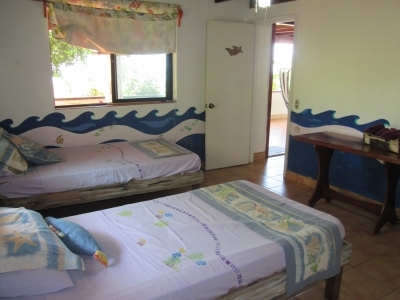 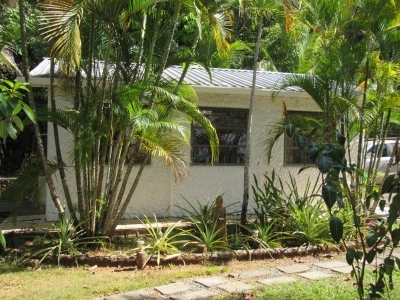 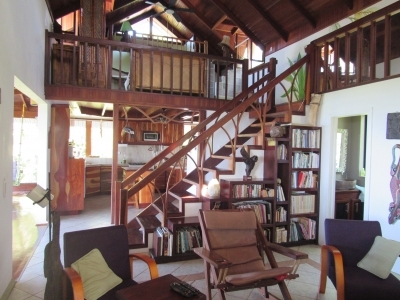 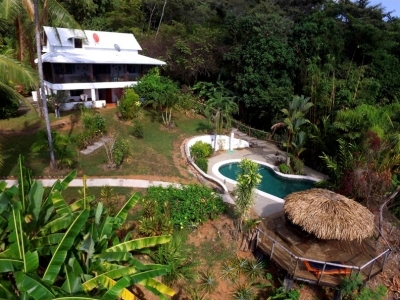 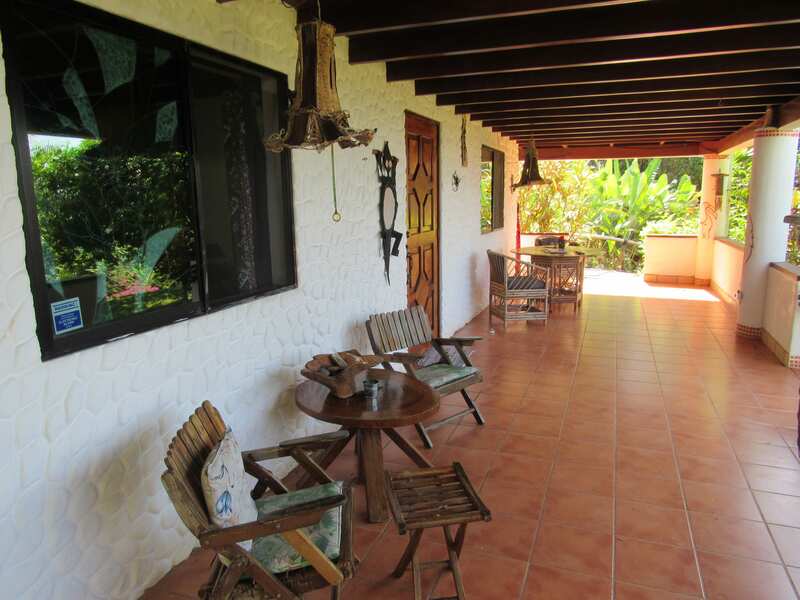 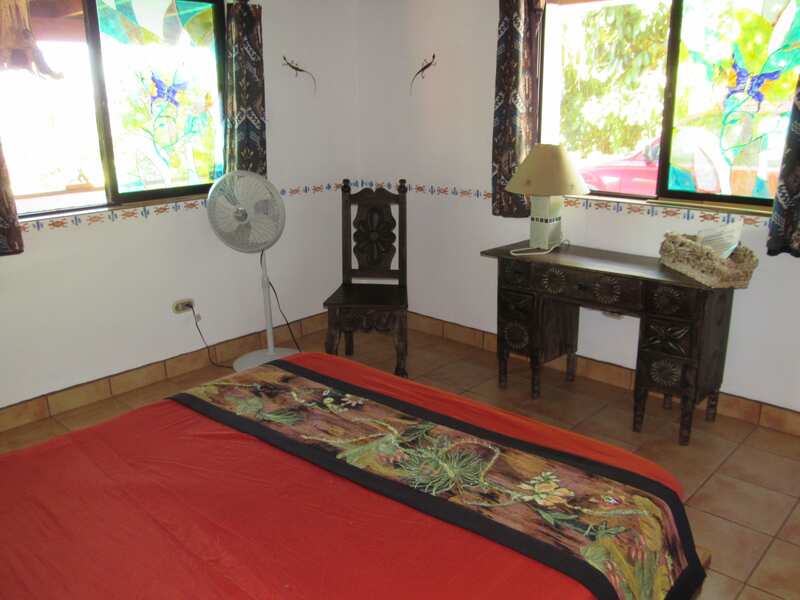 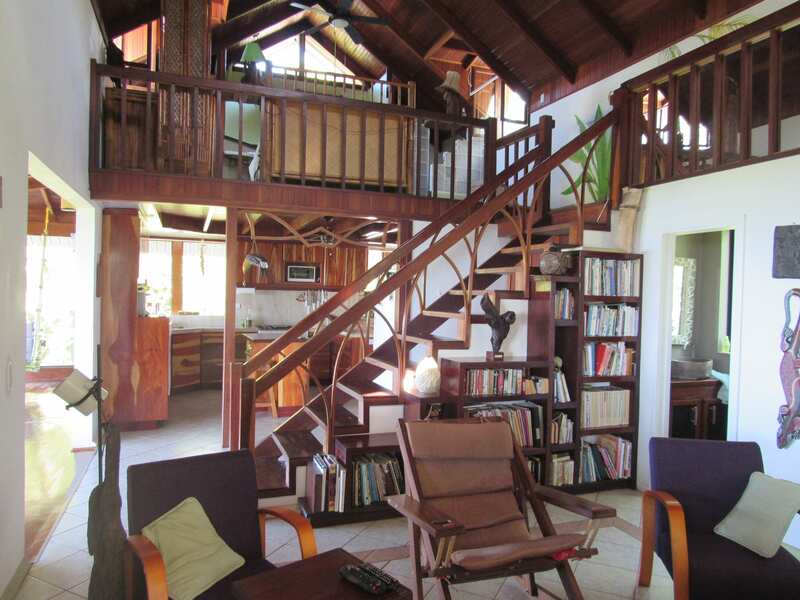 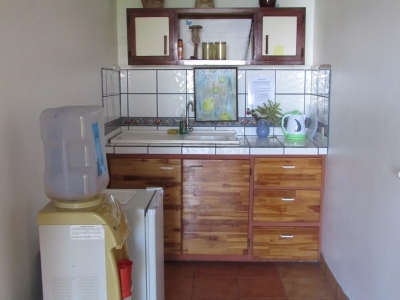 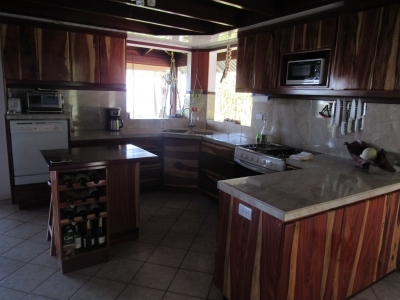 It is aprox 5 min from the town of Hatillo, and 10 min to the town of Dominical and several beaches. 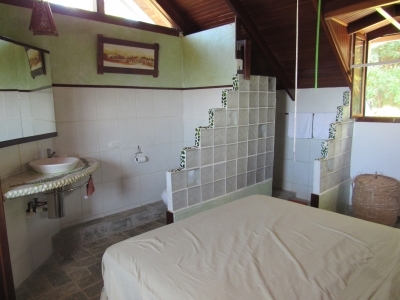 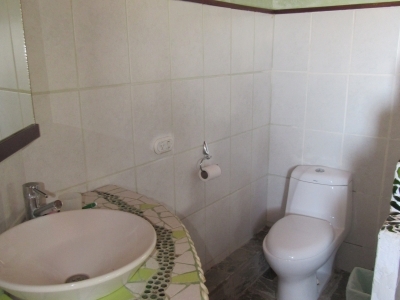 The owner has been very casual about running it as a business but with the 2 rooms for rent in the main building and the seperate rental cabin there is plenty of potential for profit. From the rentals that there have been, people have been very happy which can be shown by the excellent review received online from past guests. 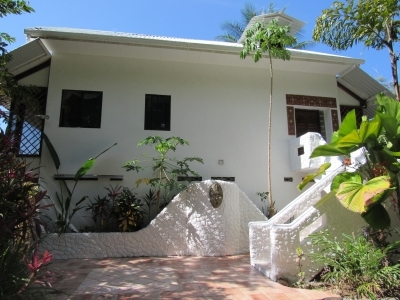 The main building has the owner’s house upstairs. It consists of a gourmet kitchen with exotic hardwood cabinets, living room, and screened in veranda with a large suspended dining table and a second living room. 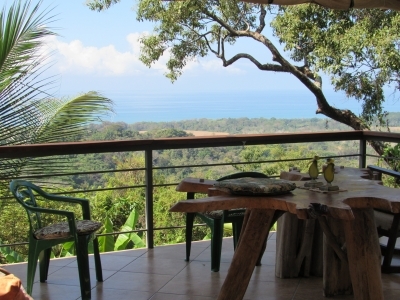 The ocean views from this floor are spectacular. Upstairs from this in the loft is the master bedroom and bathroom. 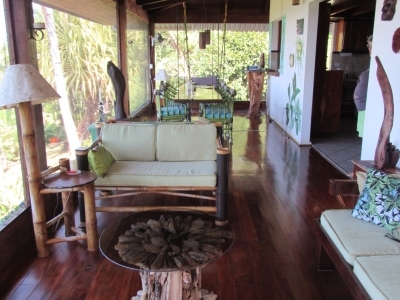 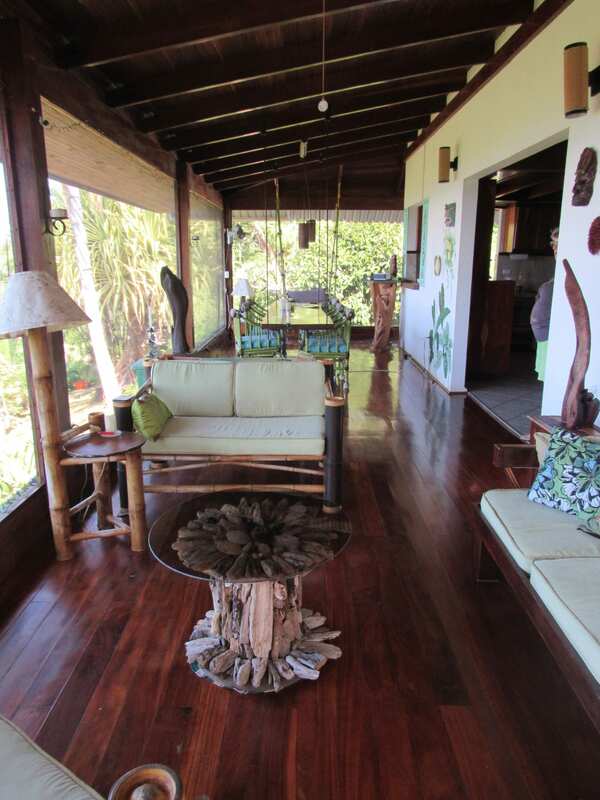 This home is built with many exotic tropical hardwoods including purple heart wood and cristobal. 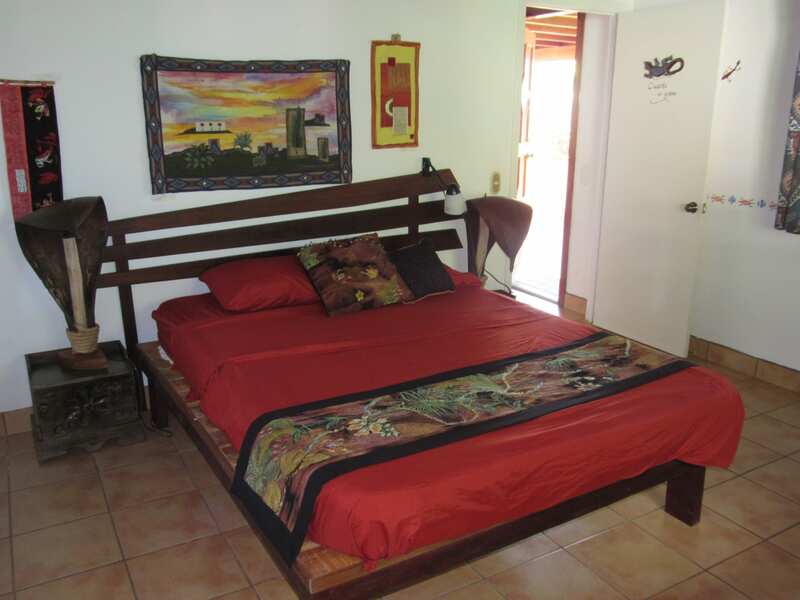 On the first floor of this main building is a large covered patio and 2 rooms for rent, each with their own private bathroom and a shared kitchenette. This area also looks out over the pool and out to the ocean.